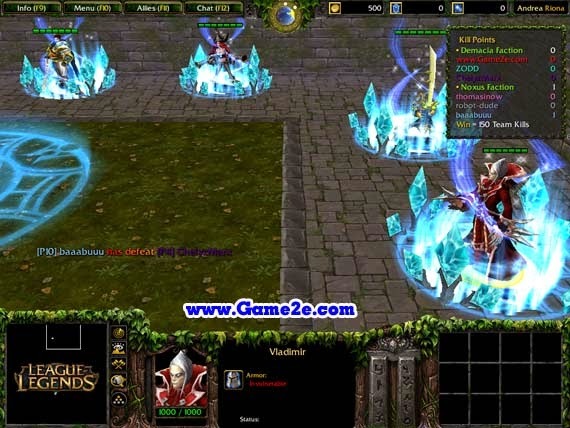 A League of Legends - Lol: Arena v1.1 +AI total conversion project in arena version! Beside World of Warcraft total conversion which I had finally achieved, since around 2 years ago I've been always planned to create a project based off from League of Legends which originally developed by Riot Games - for fun, and especially because I wanted to see a League of Legends visual converted into the game which anyone haven't done it (I meant the whole visual, not only the hero or their abilities). Since I recently having fun creating hero arena-of sort, kind of map, so I've decided to making this League of Legends project into an arena instead with League of Legends: Arena as it's name. Perhaps an ORPG version would be made in the future, who knows since wc3 is already pretty old as it's started to pretty much dying day by day. The terrain on this map were using experimental method for the tile, with higher resolution and dimension which I haven't tried with my projects before, and really had fun during the process of making it - as terraining is one of my favorite part on making a project. So if you enjoyed seen my terraining on my projects, make sure you tried this one as well! Boss mode will be implemented in future release as well, currently I have one between two champions on mind that has to be decided as a Boss: Hecarim, the Shadow of War or Nautilus, the Titan of the Depths. As an experimental alpha release, there are currently few champions of choice that available on this current state: Garen, Master Yi, Miss Fortune, Sona, Vladimir, Katarina and more......... - which of course there will be more of it on future release! Champion audio voice clips also included when they cast their Q and R ability. These champions are on my mind right now to be included in next versions: Vladimir, Nasus and Jana! 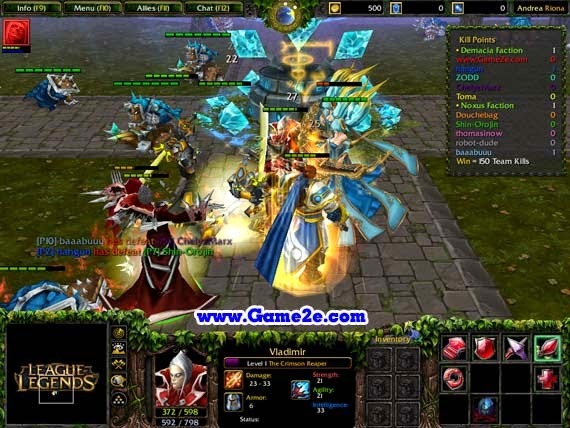 As an arena type, the map featured fast paced, quick-to-learn gameplay like my previous WoW: Clash of Legends project, enchanted with rich visualized, HD battlefield conversion which is my strong points as a visual person myself. Mediocre AI is included, enough to entertain on the whole game.